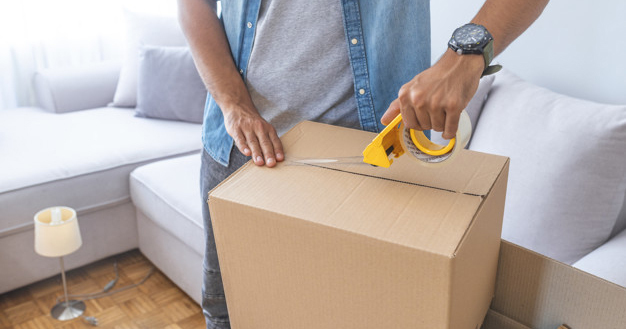 Packing and moving companies have spent years or even decades (like us) in perfecting the art of packing the perfect box. These are well worn, tried and true tips that you can utilize to help you execute a successful and streamlined move. While the other packing and moving companies don’t want you to know their shortcut and secrets to getting the job done, were happy to share. If you are planning on relocating your household, these packing and moving hacks will make the process much more efficient. For each room in your home ensure that the items you need immediately and use everyday are packed together. This includes the kitchen, living room, bedroom and bathroom. Packing and moving companies like to mark these with a florescent sticker so you can locate them quickly. For the kitchen you’ll need your coffee/tea pot, a few mugs, plates and cutlery, trash bags. In your bathroom, you’ll want to pack toilet paper, soap, towels, toiletries and the shower curtain. A bedroom box should include pillows, bedding, and curtains. Everyday items from your home may have another useful purpose when it comes to moving. Packing and moving companies like ours have seen some genius solutions from something as simple as plastic wrap. For instance, why remove your silverware from the dividing tray when you can simply wrap the entire thing in plastic and call it a day. A couple revolutions of plastic wrap can also prevent bugs from entering your opened pantry items too. Another tip that packing and moving companies will appreciate customers doing is to secure wrap on top of liquids like toiletries and cleaning products to prevent spilling. Why bother removing your clothes from their hangers and putting them into boxes, then rehanging when there is a much simpler and safer way? While packing and moving companies may provide wardrobe boxes, you can always use garbage bags as a backup. Here is what you do. Take 4-6 garments from your closet and bind them together at the neck with a rubber band. Then slip a garbage bag around the garments and secure the tie. Stack them in neat piles in a large rectangular box. This will keep them neat, organized and protected against stains while they make their way to your new closet. Sure, some packing and moving companies wish you didn’t know this tip but it will save you some cost with moving supplies. You can use your casual clothing items to safeguard your breakable items. Use your medium sized towels and t-shirts to wrap around and protect ceramics, glassware and picture frames. Your electronics can be protected with a variety of your fluffy items like old comforters and blankets. Another helpful tip is to use scarves to protect small trinkets while socks will organize and protect your jewelry sets. No professional packing and moving company would dare get the job done without masking tape. For one, it is useful for safeguarding glass like mirrors. Adhere tape corner to corner and top to bottom until you have a star shape. In the event of an accidental break, the pieces will stay in place instead of creating a disaster of broken and dangerous shards. Another great yet simple use for masking tape is to use it to secure all drawers shut. All packing and moving companies will agree that it is much easier to load away a gigantic dresser if the drawers aren’t sliding out and knocking you in the head as it is hoisted into the truck. Don’t forget to use masking tape on rolling organizers and desks as well. If you are concerned about the adhesive from the tape sticking to your items, packing and moving companies like us recommend a product called Goo Gone which you can find in the hardware isles. You deserve to have an efficient and streamlined moving process, but you also need to keep the moving project in your budget. We get it. That is why we engineered a brand-new way to move your household goods across the country. When you relocate with Move It Cube It, you receive the best of both worlds we are both professional and experienced, while offering flexible options to fit any budget. If you believe the best way for you to stay within your budget is to self-pack, then we want to empower you with these tips to get the job done. Call us today for more information about our professional and affordable moving service with our patented cubes.